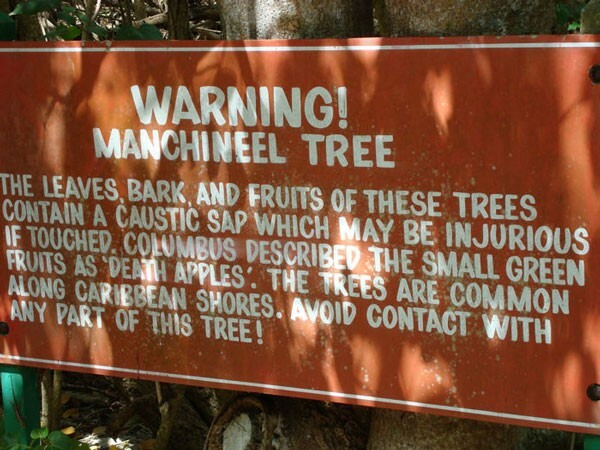 The Manchineel tree, native to the western hemisphere, which is known as the most poisonous tree in the world. 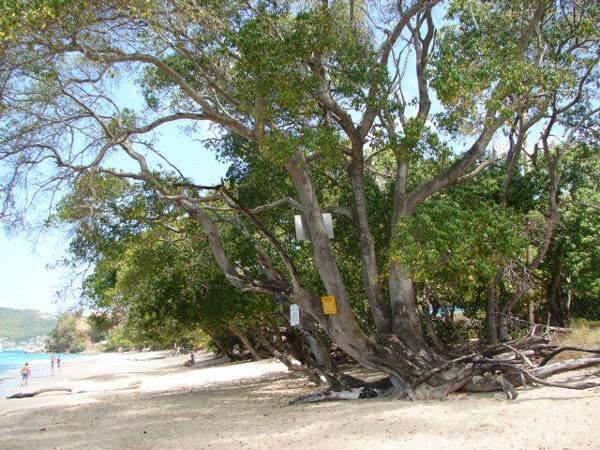 In places where it grows like Florida, the Caribbean and the Bahamas, the tree is often marked with warning signs, so the people who pass by won’t go near it. The tree is poisonous in so many levels, that if you ever come across one, prefer to stay at least a few meters away from it. The fruit resembles of a small apple, but its consumption will lead you on the way to the nearest hospital. Christopher Columbus and his sailors, referred to it as the manzanita de la muerte which means little apple of death. However the fruit is probably the least dangerous part of the tree. 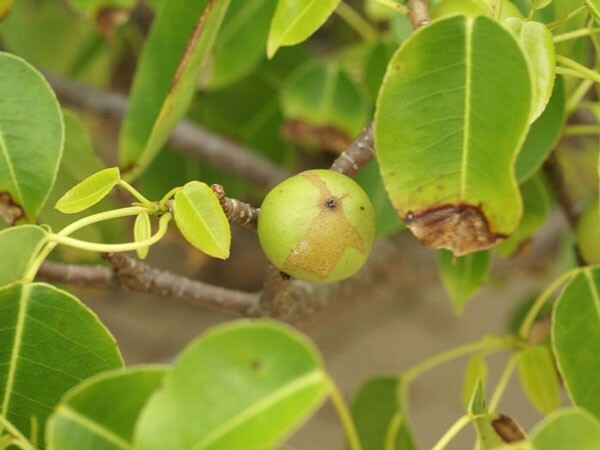 The white milky juice manchineel is extremely caustic and poisonous, and even a drop could cause blistering of the skin, dermatitis, edema or burns. Often victims of the toxicity of this fall are unsuspecting travelers who use the tree as a shelter from the rain. The juice of the tree is so torrid that even the raindrops falling from the branches can cause burns. Finally, the bark is very poisonous and combustion releases smoke which causes temporary and in some cases permanent blindness. According to legend tells of poison tree manchineel killed the Spanish conquistador Juan Ponce de Leon, when fighting with the locals hit by an arrow infused with the juice of the tree, something which led to a slow and painful death. 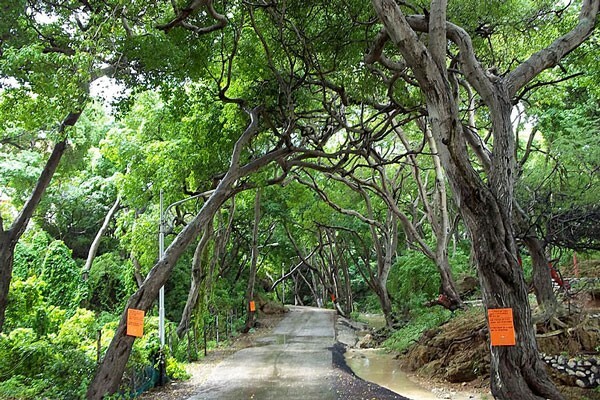 Manchineel trees have bright green oval leaves and their height is 15 meters. The dense foliage is tempting for those seeking shade or protection from rain while its fruit is sweet in the beginning but with disastrous consequences for the continuum. Fortunately, injuries have become rare due to warnings about the dangers of the tree.